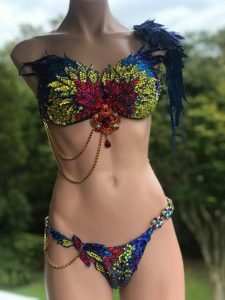 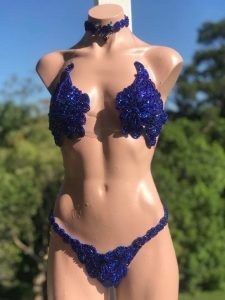 There are so many style options when creating your WBFF bikini that it’s always a great idea to check out styling options via Instagram/Facebook etc. 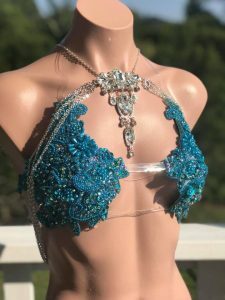 and then send me your inspo! 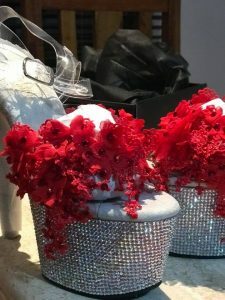 Once I have an idea of design aspects you like, then we can get busy creating something that is uniquely your own. 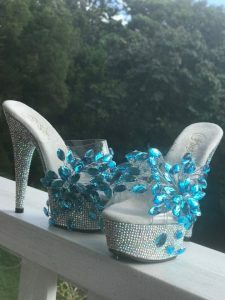 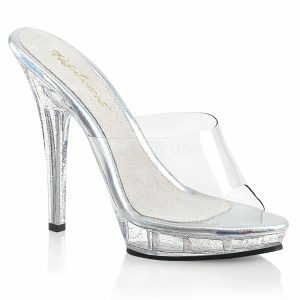 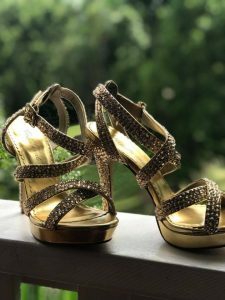 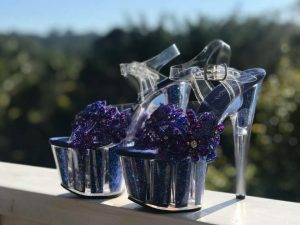 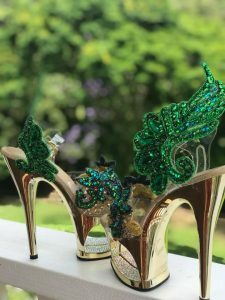 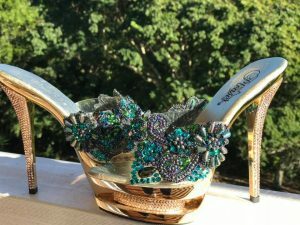 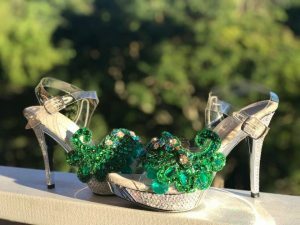 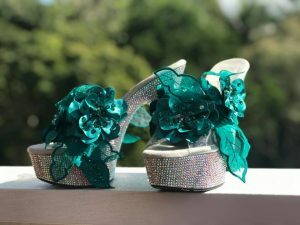 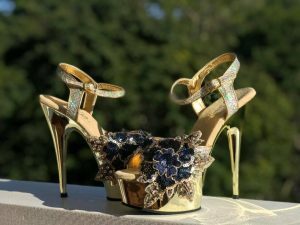 As a service to my bikini clients, I can bling your heels to match your bikini. 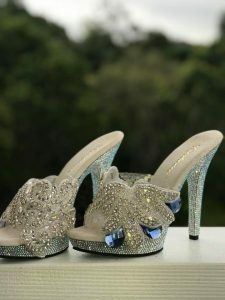 We discuss shoe style options together. 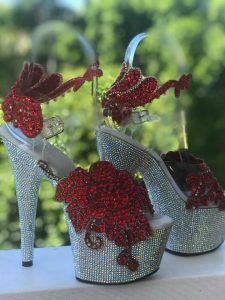 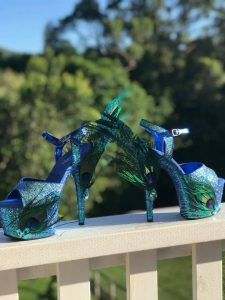 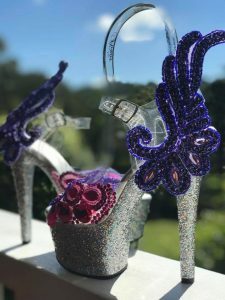 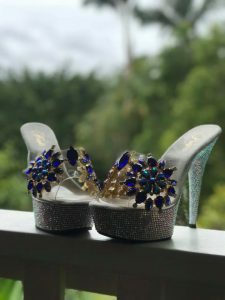 Once the shoe style is decided upon, you purchase and then let me have them 3-4 weeks out from comp so that I can bling them for you.